I love this profile! 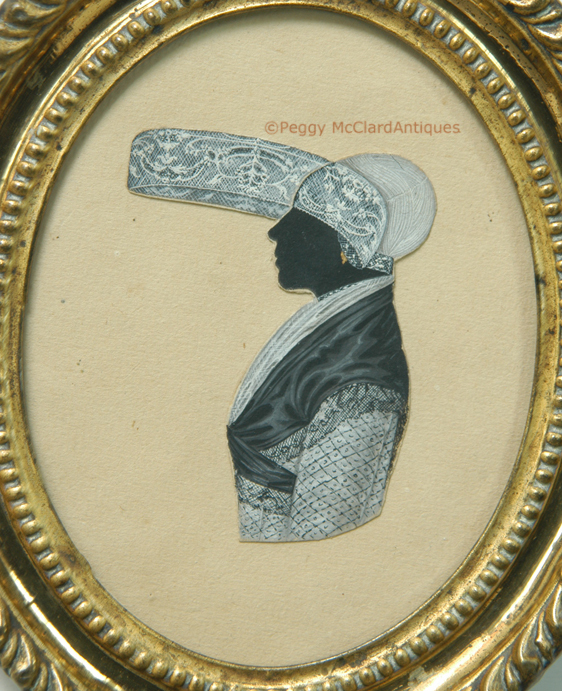 A circa 1780 Dutch silhouette which was painted and then cut-out and pasted onto laid paper. 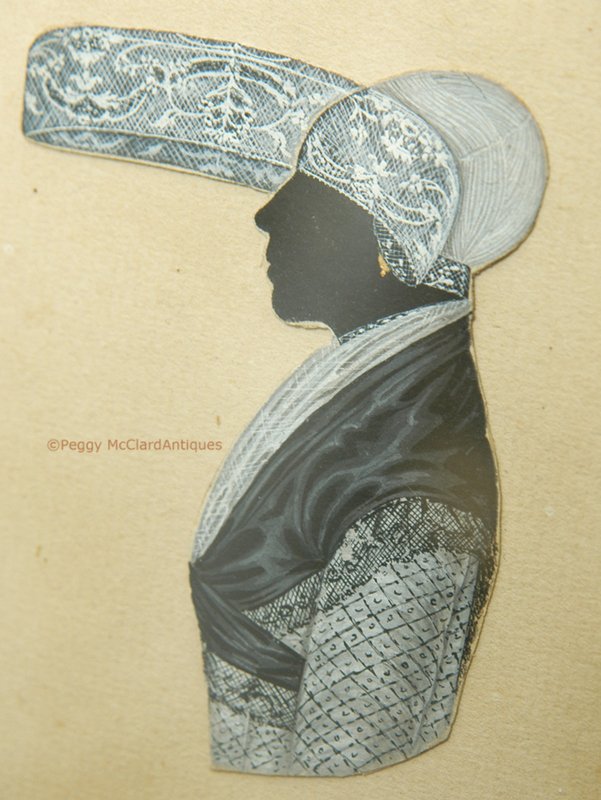 I have been told that the painted profile then being cut & pasted is a preferred method for Continental silhouettists of this period, although the available published scholarship in 18th century Continental silhouettes is very limited and we see very few of them in the US so I have not verified this aspect. 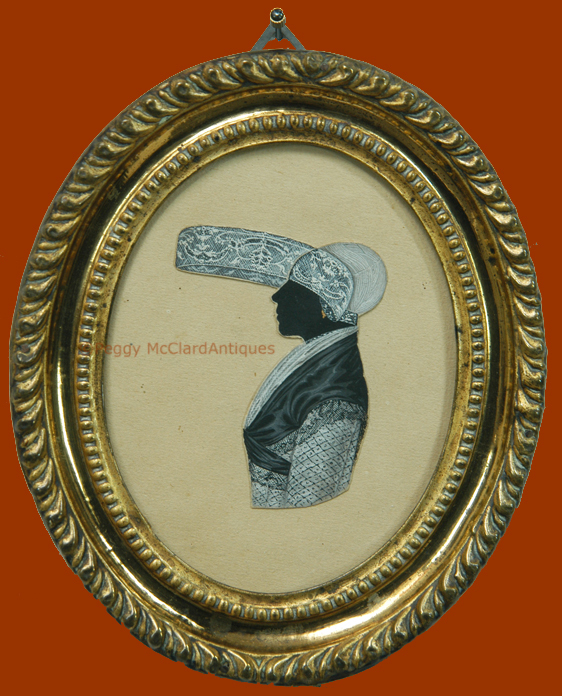 But the great thing is the detailing of this lady's clothing, including her large and unusual hat. 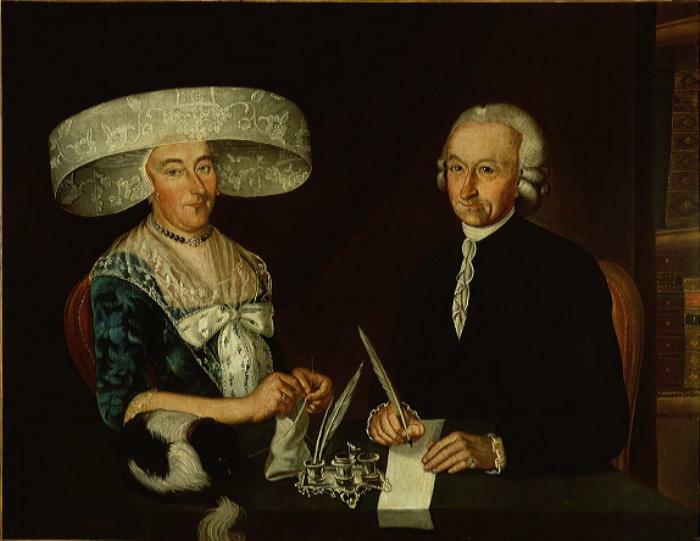 This type of hat was called "Duitse Muts" which translates to "German Hats". It comprised a close-fitted cap with clasps on the side to which was affixed a metal ring to support a stiffened lace canopy. 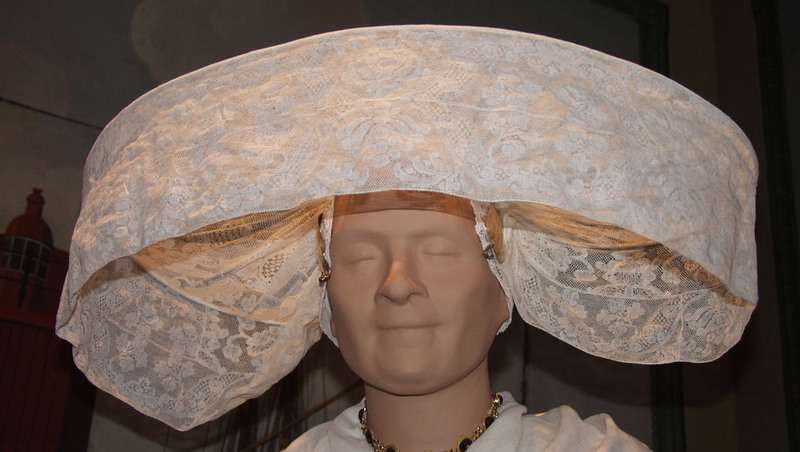 Displaying the most exquisite hand-made lace, these hats were seen as a symbol of wealth and were mostly worn to church. They must have looked spectacular en masse but made it very difficult to see! And the ladies must have taken up a lot of room on each pew! The lady's dress has a very detailed latticework pattern and is worn with a white fill-in and a black silk shawl edged with delicate lace. 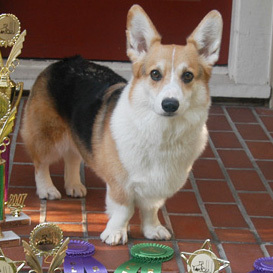 But it is undoubtedly the enormous hat that draws the eye. The only detail of the silhouette that is not white or black is the small gold earring peeking out the bottom of her hat. Housed in a period stamped brass oval frame that measures 5 7/8" x 5. There is a modern hanging triangle attached to the back of the frame. I've included a couple of photos of this type of hat that I found on the internet so you can get a better idea of how they were worn.